It means a lot to us that people all around the world share their love for eating insects and personal stories with us! See what people think about LIVIN farms, growing, cooking and eating insects! Meet our wonderful backers Gerald, Sanne & Isa from AMSTERDAM! The wide spread misuse of antibiotics should seriously really terrify us all. Yet so few seem to understand the full scale implications and even less take action. I think I do understand what will happen if we continue like this, and as a parent, I have a moral obligation towards my daughter to the type of world I put her in. So yes, I too must change my behaviour. That’s where our role as parents come in. My little girl Isa has just turned 2 and is still discovering the pure joy of eating different foods. She has no misguided cultural preconceptions yet of what should or should not be eaten. I would like her to grow up experiencing herself at first hand that eating mealworms etc is perfectly safe, tasty and, at home at least, a totally normal thing to do. 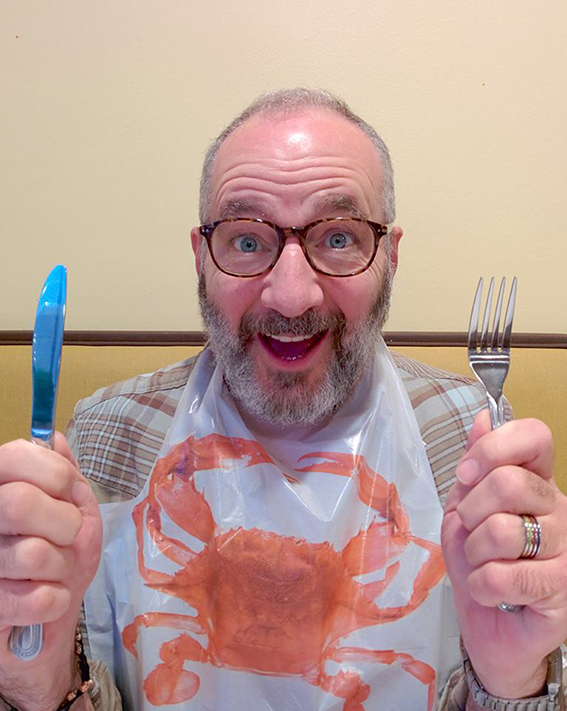 our fun backer Paul (US) eating insects of the sea:crustaceans! - I love eating bugs. It's super hard in the States to find them. I work a lot in Mexico, and every time I'm there, I have meal worms, crickets, and ant eggs, if possible. I once had meal worms in the States sauteed in butter and garlic: amazing! Like super good potato chips but buttery and garlicky. - Eating bugs can save the world. You know this; so does anyone else who'spaying attention. - I'm sending the money also because I want the word to get out: bugs are delicious, good for you, and have a low carbon footprint. I want you guys to help convince all the knuckleheads out there who go "ewwww" that they are missing out on some really yummy chow!